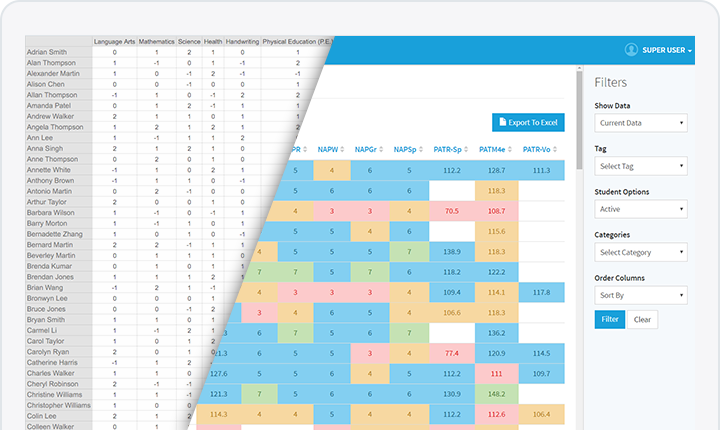 If your strategy for storing and analyzing student results involves the word “spreadsheet” then you need to take a look around and see what the future of data analysis has to offer. 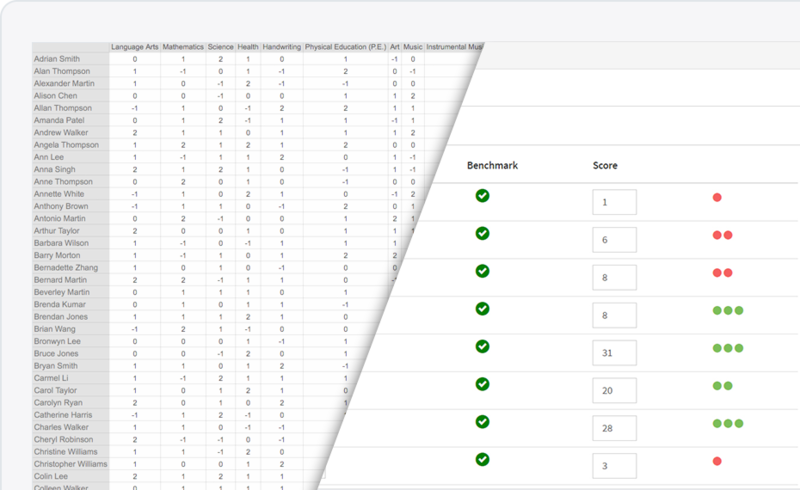 Traditionally, collecting and manipulating student test data in schools has been a tricky process, and often solely reliant on whether someone at the school has a good knowledge of Excel; but this has all changed. The future of data-collection and analysis is no longer a monolithic spreadsheet that only three people know how to use: it’s an interconnected fabric of student results, cross-referenced by colour-coded benchmarks, to produce a network of relevant and contextual information. Scorelink is first-of-its-kind software available now to kick-start the data revolution. Backed by over 100 SA schools currently using it and a team of developers and support staff, we operate a rapid release schedule of updates each month, continuously working with user feedback to explore and innovate. Scorelink makes teachers more productive by reducing the amount of time they spend entering and managing their collected data. By making the data easy to enter and retrieve, it allows teachers to spend their time working with students, not undertaking data-entry. 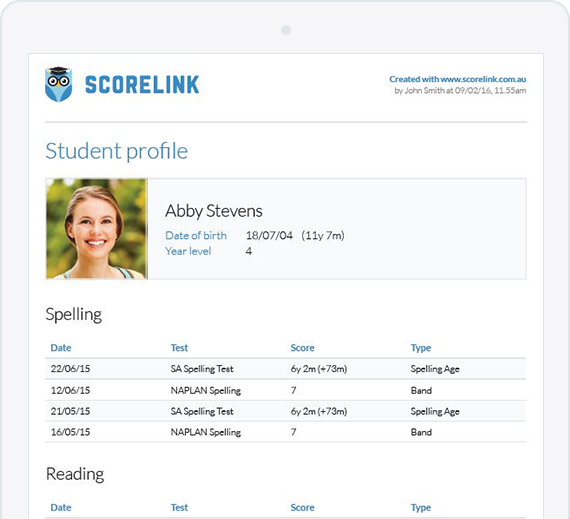 Scorelink also automates many data processes that are typically done manually, such as identifying over- and under-performing students and producing meaningful reports. This is all done to be as user-friendly as possible for teachers who may not necessarily possess a strong data background. 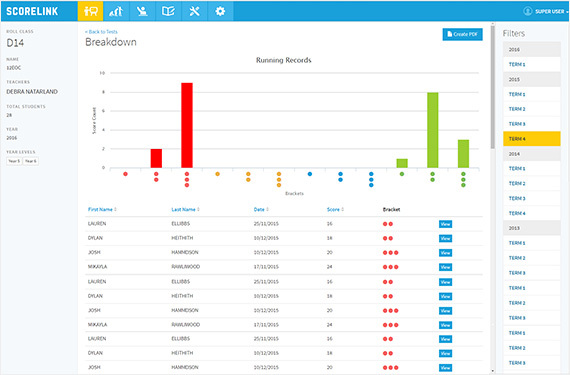 Scorelink also helps leaders to understand and interact on a broader level with the data present in their school. Through several colourful reports and graphs, a leader can quickly build up a picture of where improvements for learning or curriculum delivery need to be implemented. To make this process as easy as possible, we have numerous automatic import and data-capture tools to replace manual entry where possible. This includes automatically extracting student enrolment information from your internal student databases and the ability to import electronically distributed results such as NAPLAN and PAT, directly into Scorelink. In the past, data in schools has often been collected and stored in a combination of spreadsheets and physical files often in numerous locations, making it difficult to access at interview and report time. 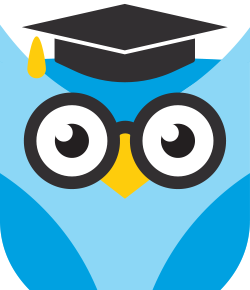 Furthermore the data may contain confusing terminology such as “rubric” or “competencies”. To help this process along, Scorelink provides reports specifically aimed at parent understanding, using simple colour-codes and language to make it easy to understand how their child is progressing. Like all good things, Scorelink is much more than the sum of its parts – but if you’d like to see some of its parts you can explore our features section for more information about what Scorelink can currently do.